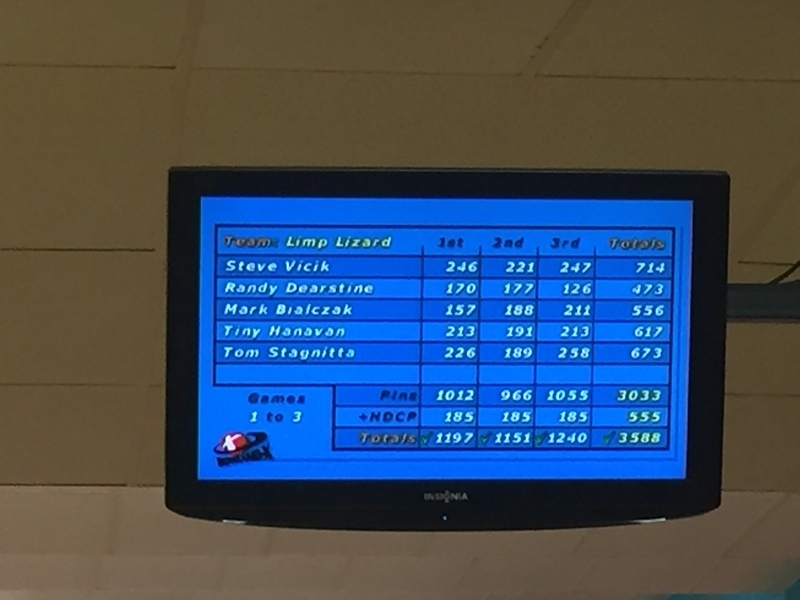 Two weeks in a row, Limp Lizard swept all seven points in the Thursday Night Men’s League at Bowling Green in North Syracuse. Steve’s turn to lead us. Two weeks in a row, one of my teammates rolled an amazing series. 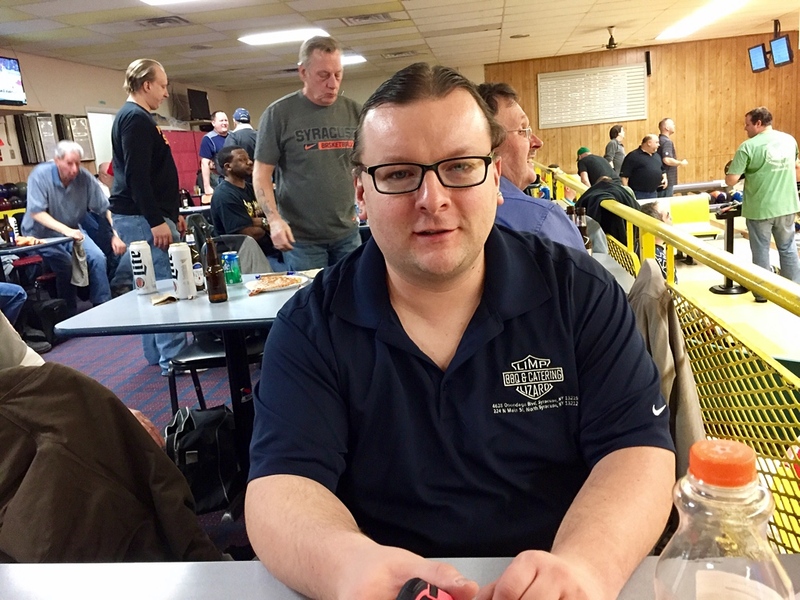 This time around, Steve threw a 246-221-247-714, following Tiny’s fantastic 742 of the prior week. And the three-game total for all five of us got us on the sheet for third-best series with handicap for the season. Nice week for our squad. Man of the night, Steve. And now we’re over .500 heading into tonight’s first position night of the second half. Can somebody come up with a 700 for the third week in a row? So why do you think our squad is suddenly rolling along like this? Of course!! Go guys go!! It must be otherworldly, for sure, Beth.